An exotic, character-rich seating solution that creates a strong, stylish statement in any space. 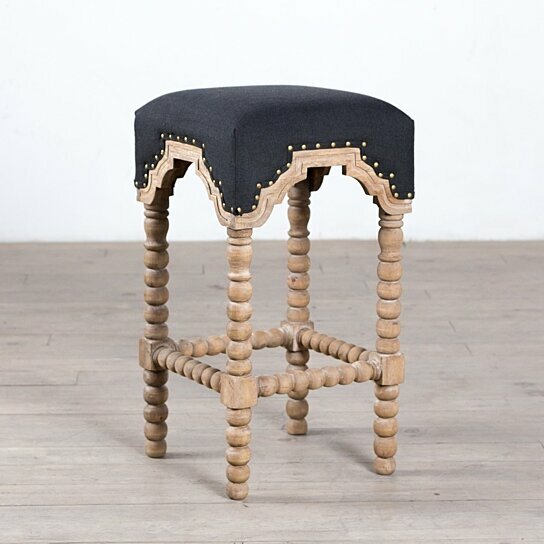 The Carnegie Stool features a cushioned, charcoal linen seat that attaches to ornate, hand-carved, stacked sphere mango wood legs with stylish brass nailheads. Due to the hand-crafted construction process, slight variations that enhance the piece's character should be expected.